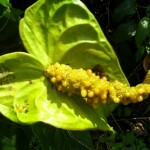 The genus Anthurium is a member of the family Araceae and may consist of up to 1,000 species. Since the members of this genus grow in the Amazon rainforest, which has yet to be fully explored, many new species continue to be discovered each year. Some people mistakenly believe that this genus is also native to Asia, but plants found there appear to have been introduced by humans. Members of this genus grow in tropical rain forests that receive abundant rain fall. They can be found growing on the ground or on trees. They can grow in many forms, but the most prevalent forms are bushes or vines, attached to trees. They can grow from seeds or as offshoots of parent plants. Offshoots are genetically identical to parent plants, while seeds, even if produced by self-pollination may not be exactly identical to their parent. 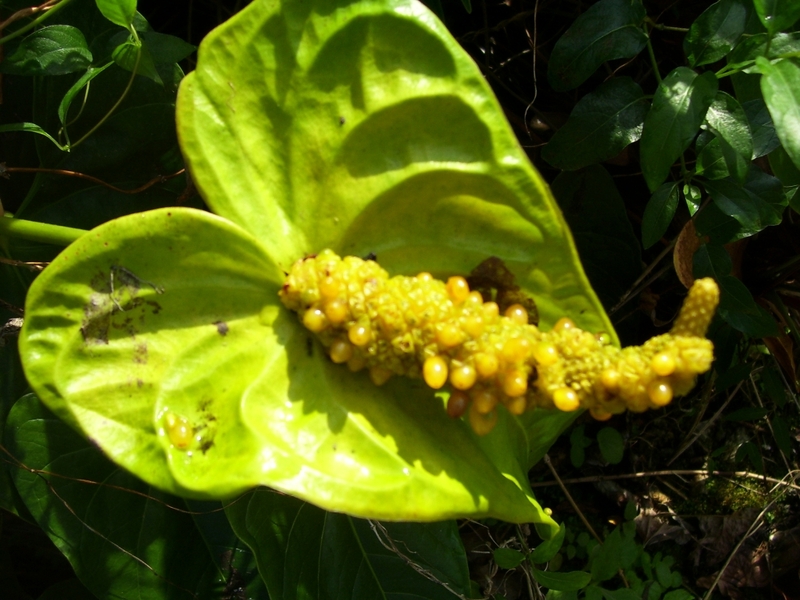 All members of Araceae produce an inflorescence or spadix, where both male and female portions of the flower are present. Self pollination does not occur, unless a plant produces multiple flowers at different times because the stigma and the stamen are active at different times. The spadix is surrounded by a spathe, a modified leaf, which is mistakenly thought to be the flower by some, whereas the spadix is the true flower of the anthurium. 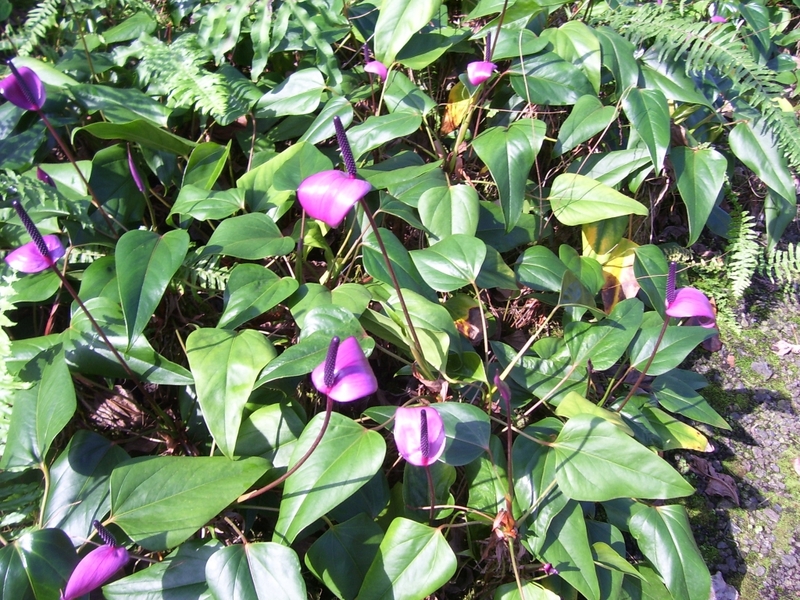 Anthuriums may be grown for their leaves or for their flowers. They can be grown outdoors in tropical climates or indoors in colder climates. Warmer temperatures, 65 to 80 degrees, are required, and freezing temperatures will damage these plants. They grow well in moist, but not saturated soil, with a lot of humus. Direct sunlight will harm them, so keep them in bright indirect light. They are most commonly propagated by taking cuttings. A cutting should have at least two growing nodes that consist of bunches of roots and leaves. It should be placed in a mix of peat moss and perlite or sand and watered regularly. They may also be propagated by seed, but the production of seed will often require an expert’s skill and patience; since the process from pollination to seedling may take up to a year and a half.